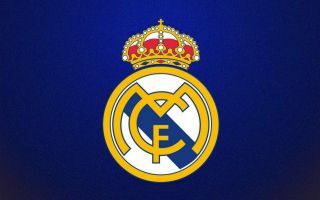 Real Madrid striker Karim Benzema has reportedly issued something of a ‘threat’ to his club over a new and improved contract and a potential transfer away. This is according to Don Balon, who report that the Frenchman is looking for a pay rise after his fine recent form and has informed Los Blancos that he has as many as three big offers to leave the Bernabeu if they do not meet his demands. While it is debatable if this is truly a ‘threat’ as Don Balon describe it, it certainly is food for thought for Madrid as they face a tricky decision over their striker’s future. Benzema was not at his best last season in terms of goal return, but he is an experienced, hard-working performer who continues to bring a lot to this side with his unselfish play up front. Real may want to be careful about letting him go, even if they might also feel he’s not currently worth a significant pay rise. Still, Don Balon claims the player seems to have three offers on the table, and recent speculation suggests these may well be from the Premier League. Diario Gol mentioned Arsenal and Chelsea as looking at 30-year-old’s situation, with both sides likely to benefit from a new signing up front, particularly Chelsea due to Alvaro Morata’s poor form at Stamford Bridge. Don Balon have also previously claimed Benzema could be a target for Manchester United if former Real Madrid manager Zinedine Zidane ends up replacing Jose Mourinho at Old Trafford.